If you cast your mind back to last summer, there was an abiding mood of impending disaster. After Spurs had splashed the £100m that they’d received for flogging Bale (seemingly upon a scattergun targeting of a motley assortment of Moroccan waiters), we feared that the mob at the wrong end of the Seven Sisters Road might finally usurp our North London throne. 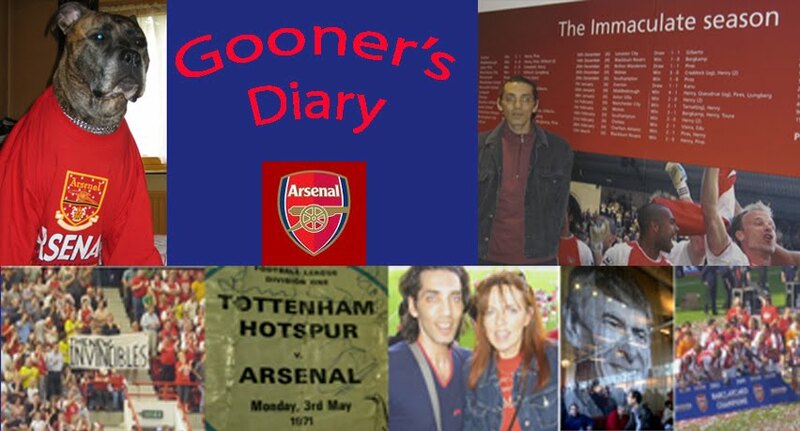 With many pundits concurring with Harry Redknapp’s perennial predictions of Spurs renaissance, most Gooners would’ve bitten off the hand of anyone who offered us the promise that we’d conclude this campaign taunting our Tottenham pals “it’s happened again”, with the Arsenal having such a fabulous opportunity to end our excruciating silverware drought on Saturday, while at the same time maintaining our highly-prized seat at Europe’s top table for a remarkable 17th successive season. I’m sure our neighbours would gladly convert to Islam, for the promise of being blighted in this fashion. However, as they say, “it’s the hope that kills you”. After our worst fears were realised with our opening day defeat, the timely signing of Özil instantly put paid to all the pessimism. Without even kicking a ball, his arrival proved to be the catalyst that inspired all those around him to raise their game, leaving most of us in dreamland, as we sat bestride the Premiership summit for so long. Thus if we’re left with any sense of dissatisfaction, it’s due to having had this particularly precious carrot dangled in our faces for so long. Hopefully Mezut will’ve grown more accustomed to the relentless rigours of the Premiership next time around and won’t need an unofficial mid-season break. But whether his contribution be great, or small, like Bergkamp before him, Özil’s touch is such poetry that it puts a £42m smile on the faces of genuine aficionadoes of the beautiful game. While, sadly, our challenge evaporated in March, the Scousers were actually in touching distance of their first title in nearly a quarter of a century, before carelessly allowing it to slip from their grasp. Without the consolation of a Cup FInal, if Liverpool fans are left feeling eviscerated by their failure, by contrast our title aspirations always seemed something of a fanciful illusion. Nevertheless, in such a remarkably unpredictable campaign, where the competition all appeared intent on gifting us the Premiership crown and with all the usual suspects set to attempt to boost their prospects, with football’s obscene version of the supermarket trolley dash this summer (despite the feeble constraints of FFP), who knows how long it might be before we’re presented with quite such a golden opportunity. It’s therefore somewhat inevitable that we’re left contemplating upon all the “if onlys” that might’ve guaranteed a more concerted assault this time around. Pure fantasy perhaps, but obviously we’ve all dreamed of what might have been, if only we’d tabled a more sensible bid for Suarez, instead of trying to be so cute. Most will point to our injuries and the untimely loss of the influential likes of Walcott, Ramsey and Wilshere. Deprived of their impetus and utterly devoid of any pace, our previously youthful team suddenly appeared aged and far too leggy. Perhaps we’d have witnessed a different outcome, if le Prof had managed to reinvigorate the troops in January, by bolstering our squad with more than an additional unfit body. Everyone but Arsène seemed patently aware of the desperate dearth of options in attack that left him springing the surprise of the completely untried and untested Sanogo, in our two most crucial outings to date. From my perspective, I can’t help but feel that “parking the bus” and pinching an impressive victory in Dortmund in November contributed to our downfall. We received such plaudits for this display that we ended up dropping crucial points in subsequent domestic encounters, where we reproduced these same infuriatingly passive tactics. As circumstances conspired to encourage us to ignore our more natural tendencies to try and impose ourselves on the opposition, this doubtless contributed to the perfect storm witnessed in a couple of utterly humiliating defeats. If it wasn’t for blotting their copybook with these calamitous aberrations, our defence would’ve otherwise been feted for keeping so many clean sheets. Flamini might’ve been last summer’s best bargain, but for all his enthusiasm and commitment, it was a big ask for him to carry his colleagues. And despite the earnest endeavours of Arteta and Rosicky alongside him, they both now have a tendency to run out of steam. Meanwhile Cazorla was guilty of hiding his light under our waning midfield bushel, when we most needed him to shine. With Ramsey signing off with such a peach of a volley at Carrow Road, we were reminded that he might’ve been a candidate for player of the season, if he’d enjoyed an uninterrupted campaign. It’s no coincidence that our late season return to form has coincided with our best players regaining their fitness. Even the ill-fated Abou Diaby has made a comeback, just in time to knacker himself again in the World Cup. Complacency could prove our greatest threat at Wembley, with so many Gooners talking as if we need only turn up to beat Hull. While those who remain convinced Wenger is past his sell-by date will have mixed feelings about a euphoric climax to our season, believing that a long-awaited trophy will take the pressure off le Prof and only condemn us to several more "nearly men" campaigns. For all our vocal pleas for Sagna to stay, I couldn’t blame him for wanting one last big payday. If we could convince Bacary otherwise and for once achieve the feat of avoiding such a significant spate of long-term injuries, Gooner hopes will spring eternal and we’ll spend the close season praying for the couple of shrewd signings that will enable us to kick on.